With a splash of action, we arrive in the world of Florian Armas. A young man is caught up in an explosion in deep space, only escaping thanks to his mother but not doing so unscathed, his memory and emotions shattered and being forced to re-learn how to deal with the world around him. A brilliant start, full of tension and detail, but be prepared for a slower, more introspective novel. The young man and a woman out of her time are the central characters, in a story that mixes politics, sexuality, questions of identity and the omnipresent threat of mass destruction caused by the Travellers through their New Field - whose only previous usage killed ten billion people as they attempted to split the universe. After that initial burst of action, much of the remainder of the novel is something of a shell game of politics and identity. The young man becomes caught between the authorities and the Resistance, while the woman, Alenia, is operating as a spy trying to undermine the system in society. Each also has an artificial intelligence assisting them, a Digital Ego, as they are called, often Diego for short, which is a neat piece of terminology. Much of the story proceeds through internal dialogue with characters talking to their Digital Egos, which have the ability to hide their memories, mask their emotions and create fake, simulated experiences to share with others. People can also wipe their memories, and programme their memories to be wiped ahead of time, such as some do ahead of a festival filled with sexual contact, not all of it consensual. This is an unsettling world, and you see why Alenia is working to undermine it. However, things slow down after that adrenaline rush at the beginning and it takes some careful reading to follow the progress of the plot. This is an intriguing read, full of bright ideas and unsettling concepts, in a world where social interaction exists at different levels, from the superficial surface that you allow people to see to the core identity underneath, elements of which are sometimes concealed from the person themselves for protection. If you have the patience for a slower, more introspective read, then this is one to make you think. 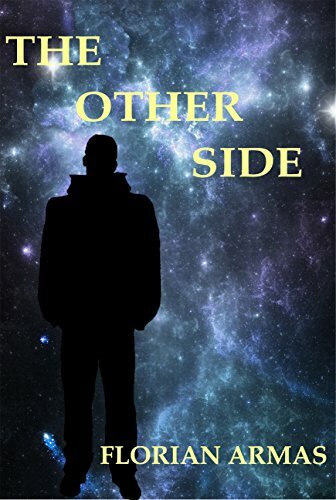 The Other Side, by Florian Armas, is available on Amazon.